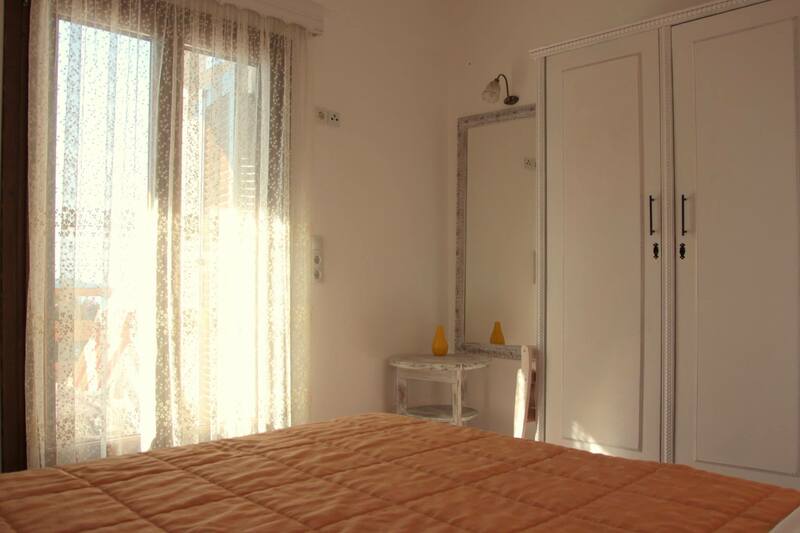 Our first floor medium apartments contain a bedroom with double bed and a living room combined with fully fitted and equipped kitchen. The living room has a coffee table and one single bed which can comfortably sleep 1 person. This can be used as comfortable sofa during the day. 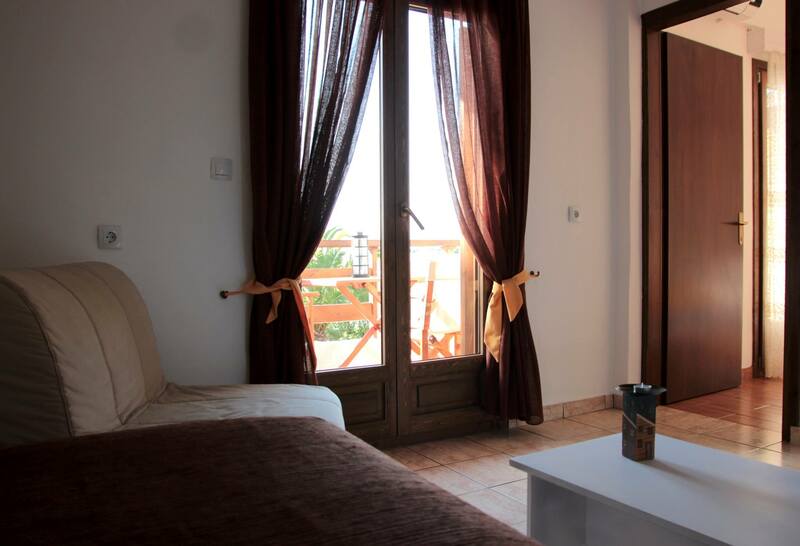 The apartments ιinclude private bathroom with shower and features a private balcony overlooking the sea. 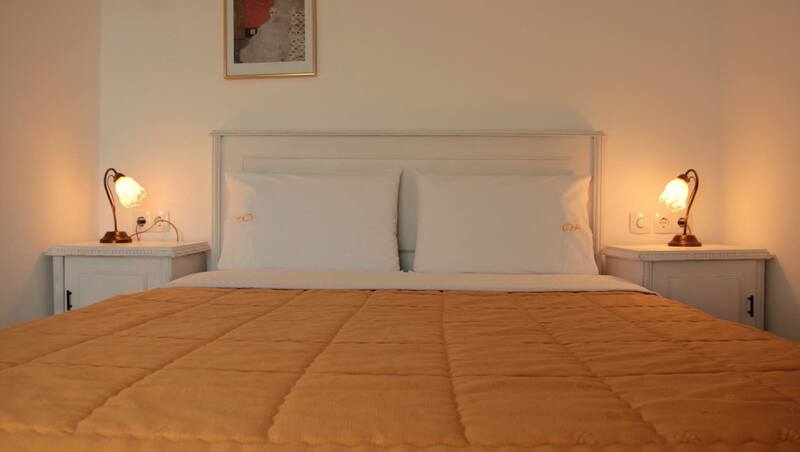 Bed Size (s): 1 Large double bed (bedroom), 1 Single bed (living room).